Hi, everyone! Today, I have a fun card to share for a celebratory occasion at my husband's work. I was asked to make this card for a physician who was being honored with a special award. 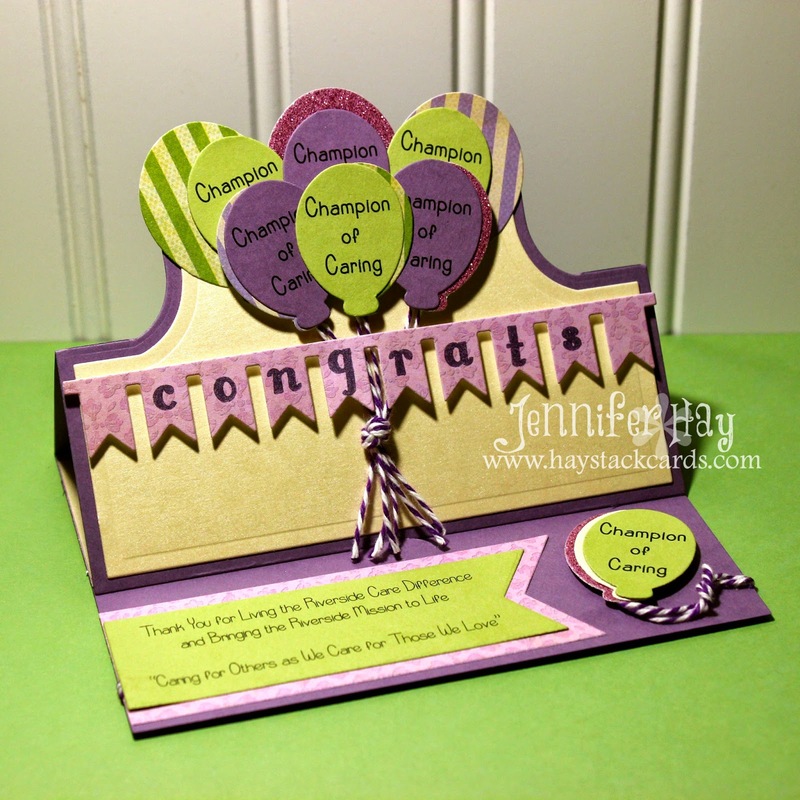 My task was to create an ivory Congratulations card that incorporated the words, "Champion of Caring" with balloons, banners, and a personalized message on the inside that would look nice on display. 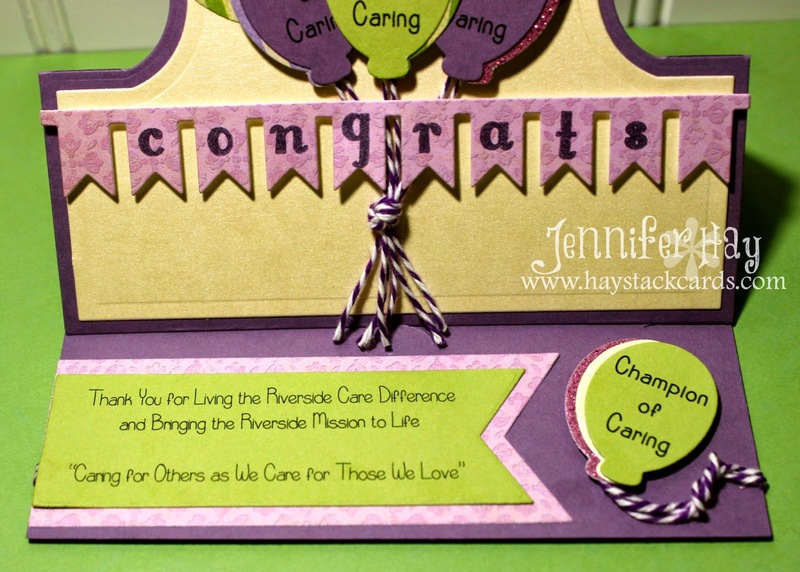 I printed "Champion of Caring" several times on cardstock using my computer and then die cut them with the coordinating dies that came with my balloons2cut stamp and die set from The Stamps of Life. The royal stand-up card was perfect for the card base and super simple to pull together. I stamped Congrats on the banner flags and popped it up with dimensionals. The balloons are cut and layered in coordinating cardstock from one of my collections and tied with purple twine. An extra balloon with twine that wraps around the back side of the card offsets the personalized message. This was a fun card to make and I just love the way it turned out!! I hope you like it too! Thanks for stopping by!! ScrapCreations Challenge - Pop It Up! UPDATE 24-OCT-2014: I made the Top 5 in the Shaped Card challenge!! Keeping fingers crossed on the others…still waiting for them to close. Very clever! Love the balloons!